Open your saved project from Step 5. Anytime you want to preview your work in AutoPlay Menu Studio, press the F5 key. Go to Insert | Label and type any name in the Text area of the resultant Label Properties dialog box. Change to any font as required. I set my Normal State Color to White and opted to match my Highlight and Click colors to White as well. Click OK to exit the dilog box and reposition the Label text within the work areas as required. Go to Insert | Button and choose one of the readymade button styles included within Autoplay Media Studio - you'll have to click the Open icon next to the button name on the dialog box to find these. Resize the button as required - then duplicate them to end up with 6 buttons (see screenshot). You'll need to align and distribute the buttons through the options available from the Object | Align menu. Select any of the text boxes and format the font and captions using the Properties Inspector panel. If the Properties panel is not visible, choose View | Property Inspector. Format all the buttons as required - choosing a different caption for each of them. Now, we have the basic structure of the autorun CD ready with the splash screen. Let's now add some actions for all the buttons. Right click a button and choose Properties (or double-click the button). In the resultant Properties dialog box, select the Actions tab. Click the Add Action button found on the bottom left. Choose 'File' in the Category drop-down box and 'File.Run' in the Action drop-down box. Click Next. In the next dialog ox, click the ellipses next to the Filename option. In the Select File dialog box, select the Project tab. You'll probably need to move up two folders above the visible folder to find the four folders that I saved to contain the presentations. I then opened the folder called 01 and selected the pptview.exe file. Click OK. In the area next to the Args (Arguments) option, I'll type in the name of the PowerPoint file that needs to be played - in my case, that's called Presentation1.ppt - also I chose a working folder. Autoplay Media Studio might change the location within the Filename option so make sure everything matches with the screenshot below. 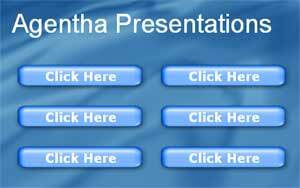 Assign the other three presentations in the same way. Press F5 to preview your autorun CD. Save the presentation. This step is entirely optional. Now you can spend some time in fine-tuning and refining your splash to include your company logo, background music and other paraphernalia. If everything seems fine, publish your autorun CD using the Project | Publish (or F7) option. Choose to output to a folder or burn straight to CD. Although you should have no problems replicating this tutorial step by step, I don't welcome support queries especially since I don't have the time to respond to each question. That doesn't mean that you won't get support for anything related to this tutorial. Indigo Rose has probably the best support options - you'll find FAQs, knowledge bases, forums and email support on their site in addition to tutorials. I strongly recommend you post your problems or doubts in their support forums.